Wait to get AG Slip of yearly Increment. As per AG office sources….. Large no of our Ayush MO's AG payslip despatching by post since last 2-3 days. Without receiving personal AG slip of yearly increment ur not suppose to get / approve JAN 2015 pay. 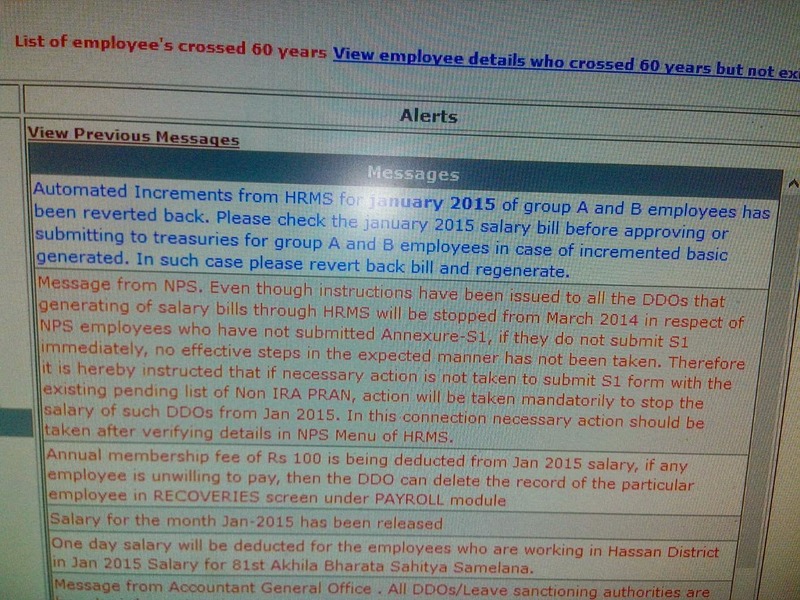 Now HRMS website is supportive to reject increment also as instructions showing in HRMS website ….